In case you do not know me personally, here is a little background on myself. I was born in Ukraine to U. S. Citizens of Ukrainian heritage. When I was a sophomore in high school, I moved to the United States to Knoxville, Tennessee. After graduating from Knoxville Catholic High School and subsequently the United States Naval Academy, I commissioned as a Marine Corps Second Lieutenant with a pilot contract. Currently, I am stationed in sunny San Diego, California at MCAS Miramar with my beautiful wife Katya. After graduating the United States Naval Academy and The Basic School with an air contract, I began having an itch for business. It began because of an incessant thirst for travel. I loved traveling. In fact, I met my wife in Milan, Italy, while on leave after The Basic School. My friends and I soon banded together and created an awesome smartphone application (which I plan on recreating in the near future). We learned how to create a Limited Liability Company, how to file corporate taxes, and even how to talk with venture capitalists. For a while, we felt on top of the world and even believed we were going to make our first millions before we all turned 25. However, the problem that hit us like a ton of bricks was that our potential investors were not willing to invest in us if we would not fully invest our time. They wanted a full-time staff. But how could we? Some of us were in the middle of intense military training programs or deployments. We were scattered all over the world, living in different time zones, working in different military occupational specialties, and having very different life constraints. We had to pause the project. That is when I decided to dedicate most of my free time to learning about other options out there. I wanted to be financially free. While in flight school, I recorded my aircraft’s emergency procedures and recited them in the car by listening to myself say them over and over again. It was annoying, but it worked and it saved me a lot of time studying at home. So I decided to do the same with my entrepreneurial education. I subscribed to audible and went on an audible and podcast rampage. Before I knew it, my eyes were opened to a whole new world. I discovered incredible entrepreneurs such as Tim Ferris, Pat Flynn, Mike Dillard, and Real Estate investors such as Rod Khleif and Brandon Turner. I soaked up information to and from work. I no longer minded long commutes. In fact, I almost preferred them, because I knew it would force me to wake up earlier and learn more. Fast forward a couple of years, many different projects, attempts at closing on properties, long phones calls with real estate brokers, attorneys, lost money, and sleepless nights… I finally closed on my first rental property, and then a 56-unit apartment complex with my parents. 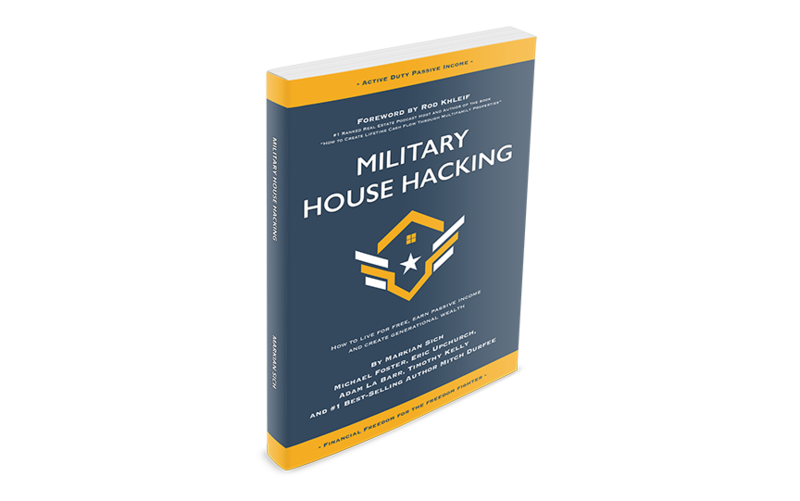 This period of making mistakes helped me develop what I thought was the perfect strategy for any member of the military to get started in Real Estate Investing. We have all heard the saying “give it to me Barney style.” That is what I want to do. I wanted to create a course that would go step-by-step and was also tailored to military, veterans, and their families. This ambition soon evolved into creating a powerful peer group of like-minded investors. And so, Active Duty Passive Income and the #StartTheSpark Club were born. A place where we can all learn from each other and band together in order to accomplish common goals. There are so many training plans and courses that cost hundreds and even thousands of dollars for simply providing the same information I have found for free. I will be outlining all of this information on Active Duty Passive Income (ADPI). Everything contained on the pages of this website is free information, except for Military Real Estate Investing Academy. My goal is to deliver this material in an easy to understand, step by step (barney-style checklist if you will) method, that is simple to follow and execute. A lot of the information on this website will be geared towards members of the armed forces but is by no means exclusive to any particular group. The information on our website is definitely useful for anyone willing to learn. Every page and every article is created with the memory of my journey in mind. I spent a lot of money and time and want to save you from that pain. My promise to you is that ADPI will be different. CEO and Founder of Active Duty Passive Income, Markian Sich is a third generation Ukrainian immigrant and active duty Marine Corps CH-53E "Super Stallion" Pilot. At an early age, he learned about the opportunities our great country provides its citizens from the good example set by his parents and grandparents. 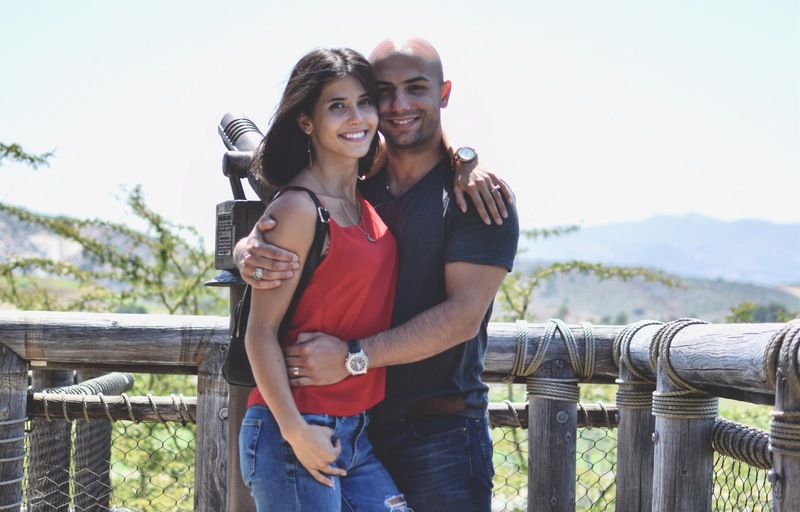 Because of Markian’s incessant thirst for travel, he met his wife Katya in Milan, Italy while on leave after graduating from the United States Naval Academy. This is also when he started to get an “itch” for business. In addition to serving in the military, Markian started to pursue real estate investing as a method of securing his financial future. In 2017, he bought a turnkey single-family property and in December 2017, after losing several potential deals, he finally closed on a 56-unit apartment complex. Stationed at MCAS Miramar in San Diego, his success and inherent feeling to “teach it Barney-style” inspired him to help members of the military learn about the benefits of real estate investing. This is when the Military Real Estate Investing Academy and community, Active Duty Passive Income was born.